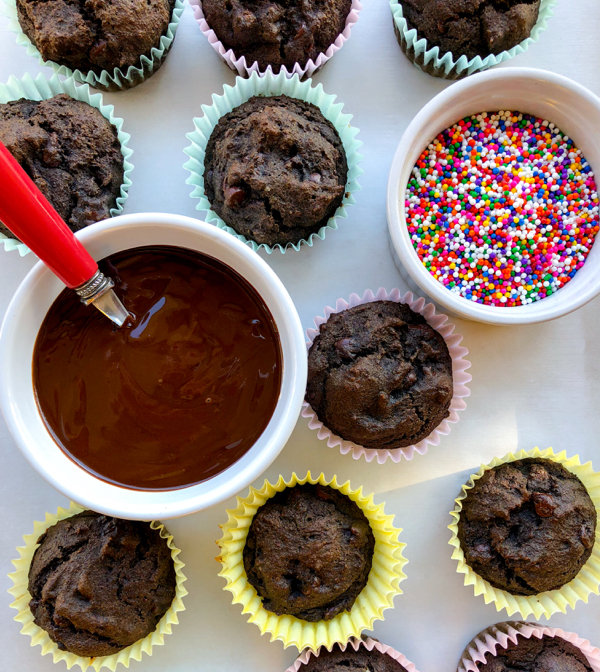 Double chocolate cupcakes with chocolate ganache (gluten free) | eat. live. travel. write. Remember earlier this month when I announced that today, February 26th, is Canada’s sixth National Cupcake Day – raising money for SPCAs and Humane Societies across the country? That’s right – today is all about cupcakes – and raising money to help animals in need all around Canada. 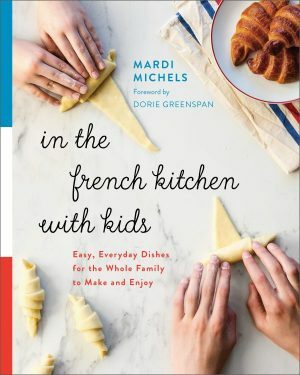 This is my sixth year participating and I’m a little short of my fundraising goal but am hopeful that this recipe might raise enough funds to get me there. 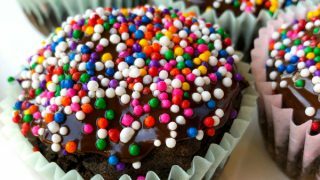 A cupcake recipe for a great cause – what’s not to like? 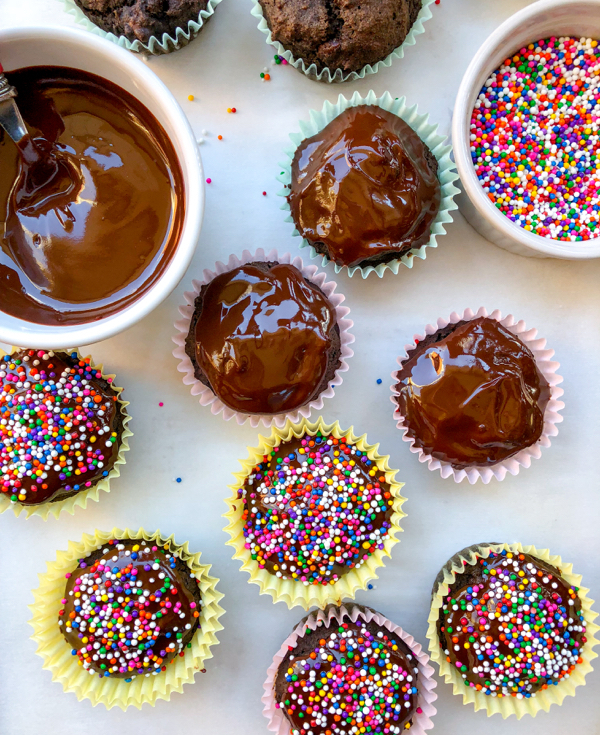 As I’m not able to host a bake sale today, I’m hosting a virtual event – posting the recipe here and “in real life” I’ll take them to work today to share with my colleagues (because who can’t use a cupcake on a Monday?). This year, I’ve made a batch of double chocolate gluten-free cupcakes which are not super sweet on their own (based on my double chocolate buckwheat banana bread recipe). 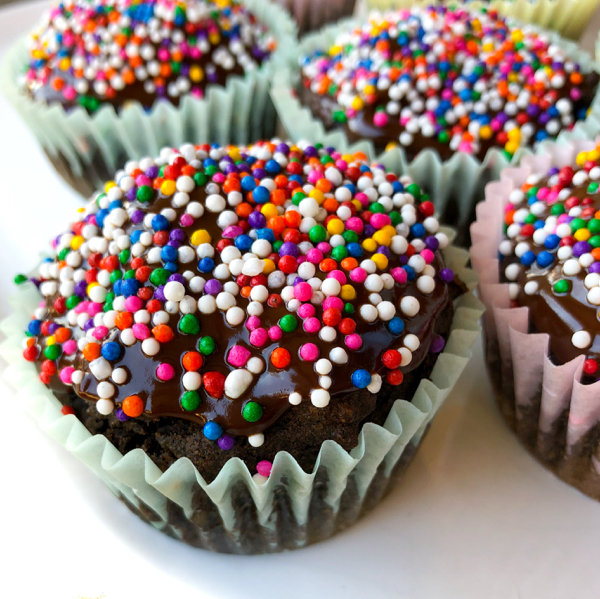 I’ve topped them with a rich chocolate ganache (and sprinkles, of course!) and I find them just the right amount of sweetness (and they are naturally gluten-free because they use buckwheat flour!). Easy double chocolate buckwheat cupcakes topped with a rich ganache. Preheat oven to 375˚F. Line a 12-cup muffin pan with cupcake liners. Whisk the dry ingredients in a medium bowl. 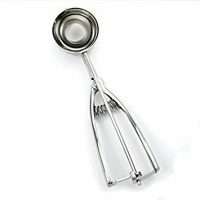 Whisk the eggs and oil in a separate large bowl, then add the vanilla, apple sauce and oil and whisk gently until combined. Add the wet to the dry ingredients and fold until just combined. Add the chocolate chips and mix to incorporate. Use a 3-tablespoon cookie scoop to scoop the batter into the prepared muffin tins. Bake at 375˚F for 20 minutes or until a skewer inserted in the middle of a cupcake comes out clean. Remove to a wire rack to cool to room temperature before frosting. Remove the bowl from the heat or microwave and stir until smooth. 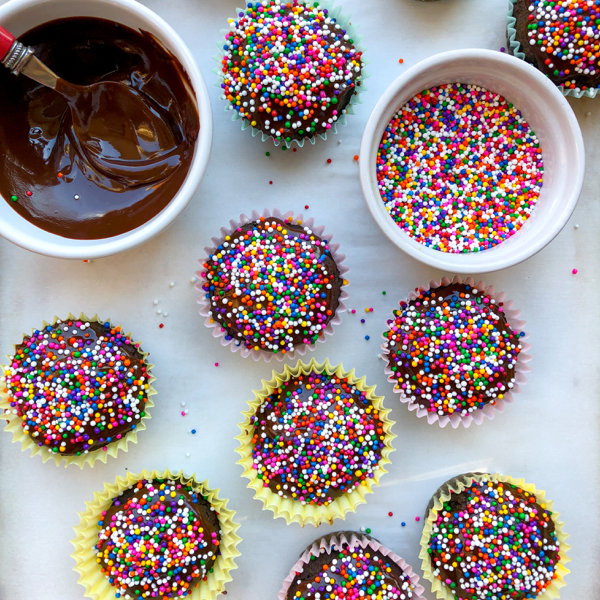 Take a small teaspoon and use it to spread the ganache on top of the cupcakes. Don't be shy with the ganache (as the cakes don't have any added sugar). Top with sprinkles (if using) while the ganache is still soft. The ganache will not harden completely, it will still be a little soft. Like the look of these? How about helping me support the Toronto Humane Society today? Please note: This post contains affiliate links. I am a participant in the Amazon Services LLC Associates Program, an affiliate advertising program designed to provide a means for us to earn fees by linking to Amazon.com and affiliated sites. 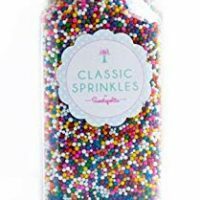 This means that if you click over and purchase something, I will receive a very small percentage of the purchase price (at no extra cost to you). Thank you in advance! I still owe you a donation from last year – I think I promised $100. I will donate another $100 this year and give it to you when you’re ‘down under’ in a couple of week.